This webpage provides useful information. affordable pricing, and online sales of the Nortel T7208 Phone in stock. 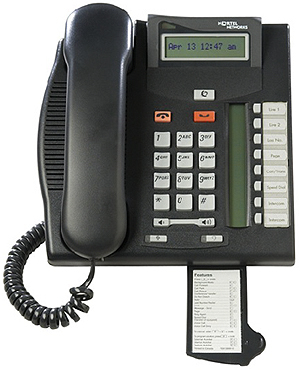 The Nortel T7208 Phone is an enhanced-level, multi line digital display telephone with an integrated display LCD. Display It is intended for moderate call volume users such as office professionals and technical specialists. Compatible with all Nortel & Norstar digital phone systems.